My friend Dave at Haji Maji posts the best vintage Chinese opera in town, but I thought I’d present another from my own collection. Before I prepped this track, of course I went to Dave and his helpful translators for assistance, and they came through with even more information than I had hoped for. There are always some barriers when trying to find out information on old records besides what might seem the most obvious barrier: language. There is no giant resource in a library somewhere that contains everything you’d need to know about record label activity in all the continents, dates of releases, or perhaps more importantly, the style and history of some of the music itself. A huge portion is a secret history. In the case of the rich and long history of Chinese opera, about which I know only a smattering, I am grateful for any information anyone can give me, or directions to be pointed in. Many thanks to Dave Murray and Ms. Javier Li Yong-En of the Thau Yong Amatuer Musical Society. Excellent. But this isn’t really typical of Teochew opera, but of Wai Jiang…an older, more official form that was sung in a classical language that most can’t understand (my friend likens it to legalese.) Teochew opera though,as far as I understand, is more of a folk style and musically it’s pretty unique to the Teochews. Check my site for the Tiger and Pagoda records as examples. I wish there was a good source of information about these Chinese Bekas…they’re all great and include many of the best Cantonese recordings from that era…any era, actually! Ah, nice catch Dave – I’ve amended the post! 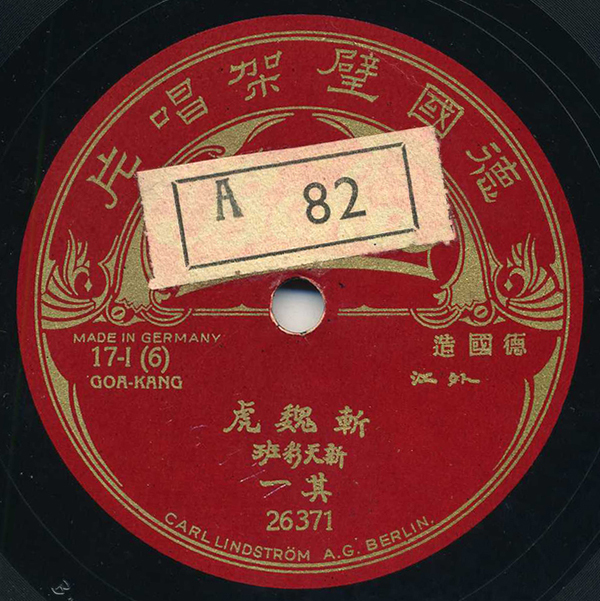 I’ve fixed that 1902 reference – it cannot be 1902, as Beka’s first trip to the Far East was in 1905-1906.
recorded by engineer Max Birckhahn in late 1926 or early 1927, probably in Singapore (though possibly in Chaozhou). Thanks very much! I’ve amended the post.